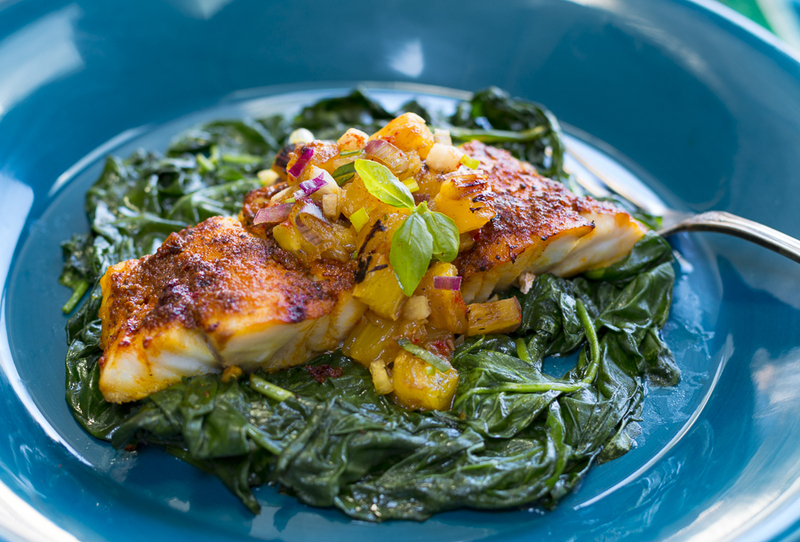 Easy to prepare – pineapple cooks on a seasoned cast iron skillet until beautifully caramelized and golden. 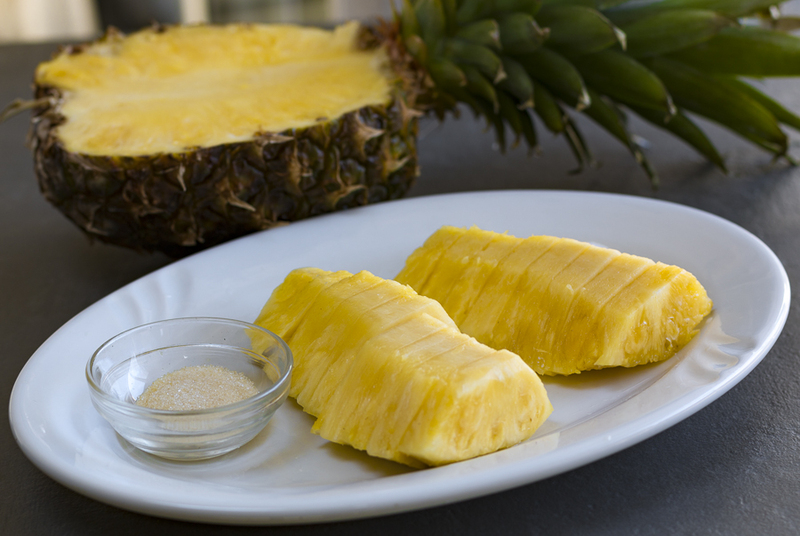 Golden Pineapple Is wonderful grilled in a hot, seasoned cast iron skillet. Only takes one minute per side. You do not want to overcook at this step! A la plancha is a style of food preparation that combines high-temperature searing with a small amount of smoking. 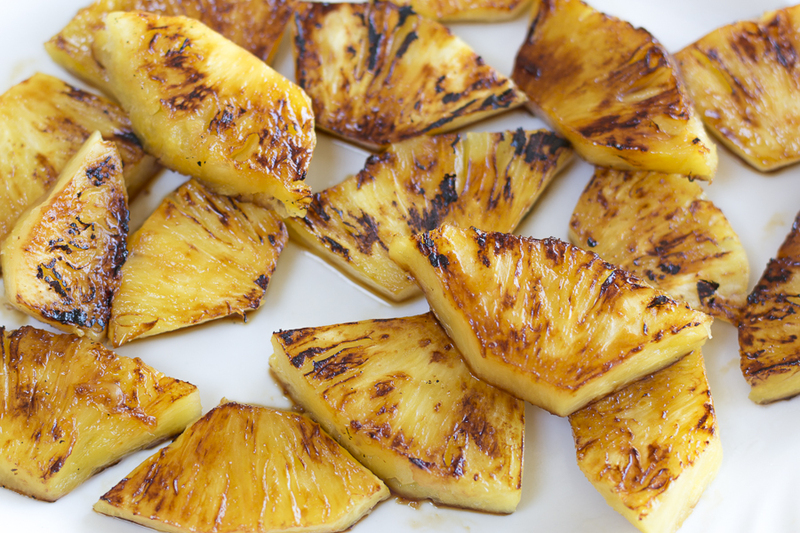 Perfect for quick searing pineapple ~ adds a texture and flavor. 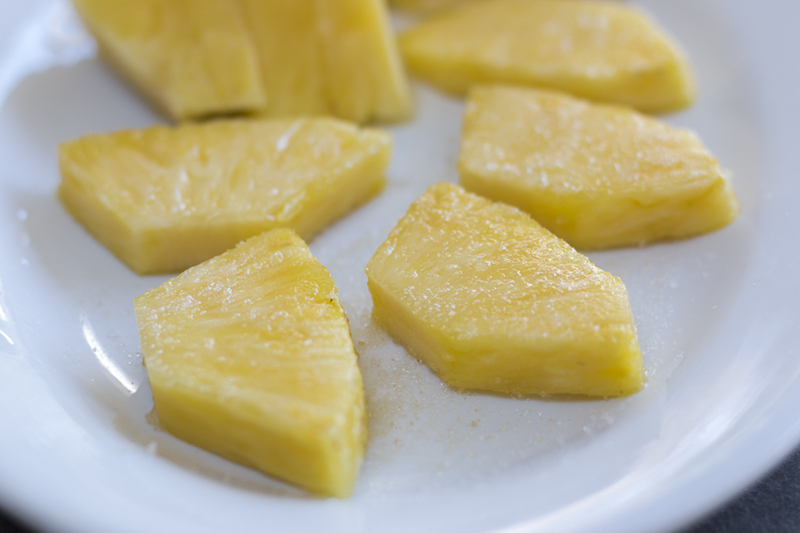 With just a small coating of oil – heat the cast iron skillet, and add the lightly sugared pieces of pineapple. Cook on each side to sear for just one minute. 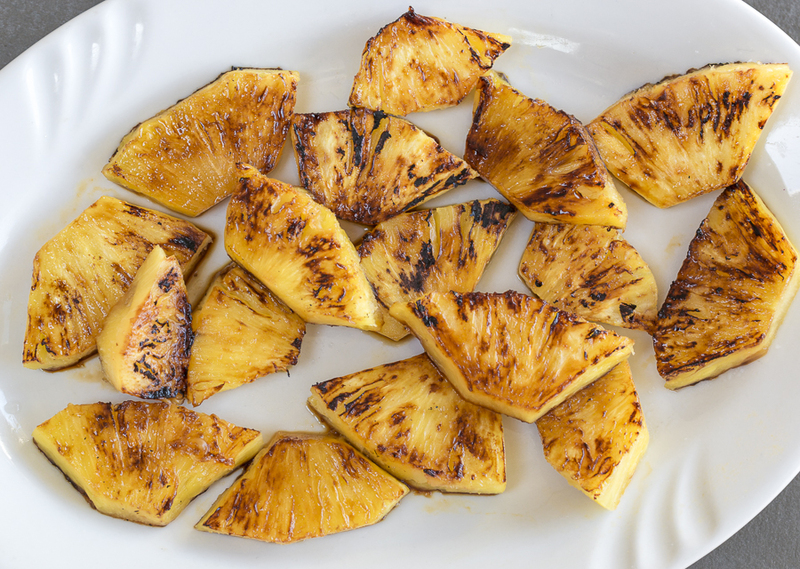 Dice the grilled pineapple, and add the other ingredients, then stir – all done! 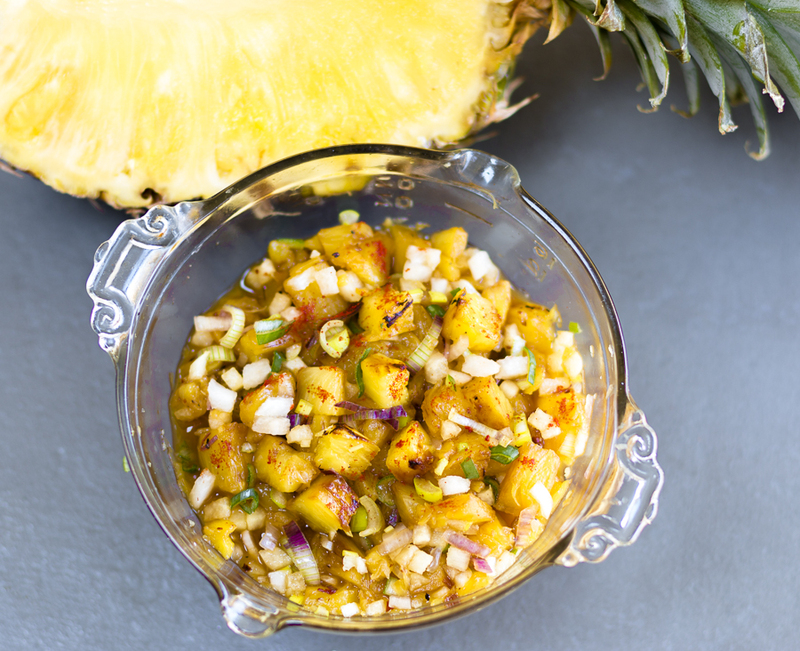 This delicious salsa is perfect over any grilled or roasted protein – or jazz up you nachos! 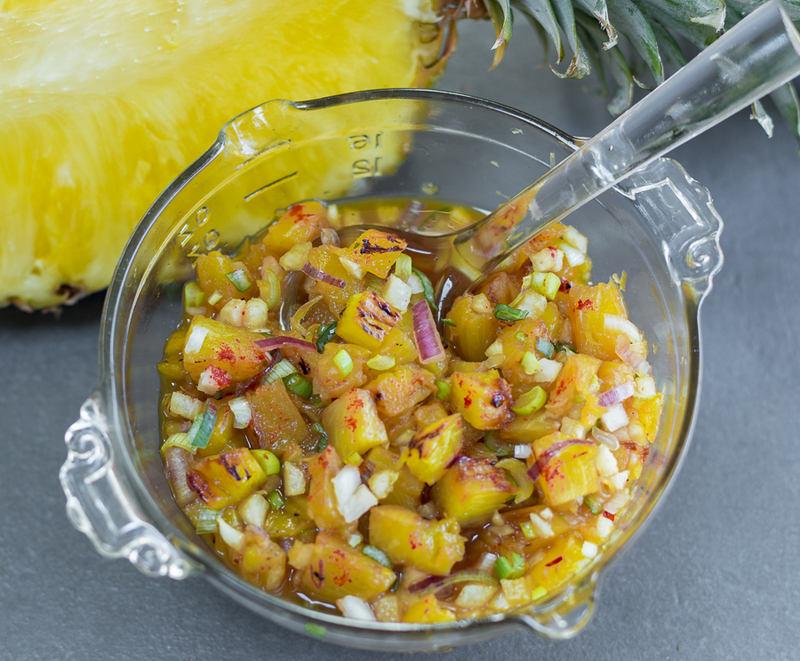 Ingredients in the Salsa: Grilled Pineapple a la Plancha, Jicama, Garlic, Purple Scallion (or Onion), Lime Juice, Chipotle Peppers, Ground Chiles and a pinch of Sea Salt. Add more flavorings if you like… complimentary fruits such as mango or tomatoes and fresh herbs if you desire.